PLEASE NOTE ALL PRICES INCLUDE UK P&P. Overseas postage is additional charge according to destination zone. Books may be ordered online by following links below or by post by sending a cheque to Publications Manager, The Charles Close Society, St. Nicholas, 16 East Hill Road, Oxted, Surrey RH8 9HZ. 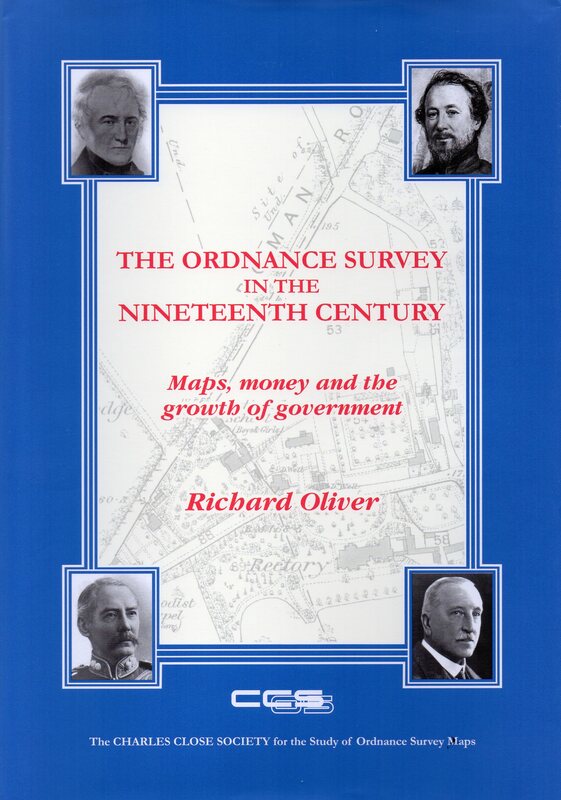 This book is the outcome of many years study of what for many was for long ‘the Ordnance map’. It includes a 95,000-word historical account of the development of the maps by Richard Oliver, and a 265-page cartobibliography by Roger Hellyer that has drawn on the libraries of three continents. There is a foreword by Yolande Hodson. 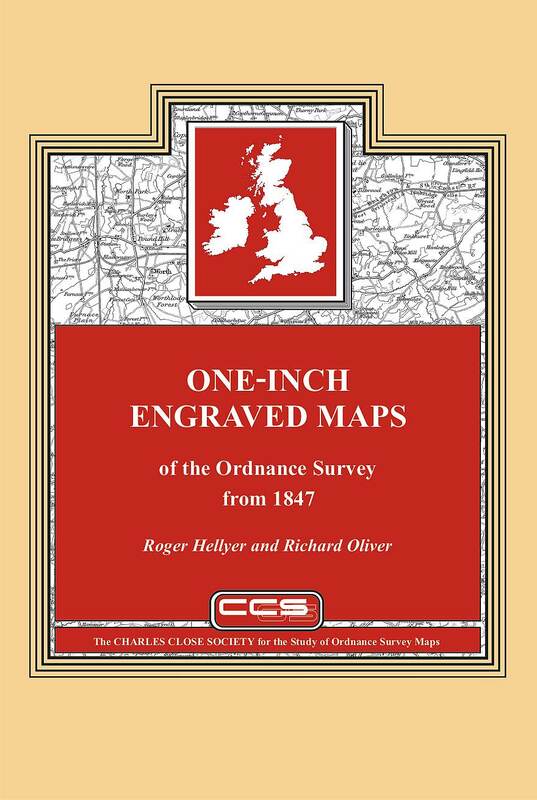 It complements the same authors’ One-inch engraved maps of the Ordnance Survey from 1847 (2009). 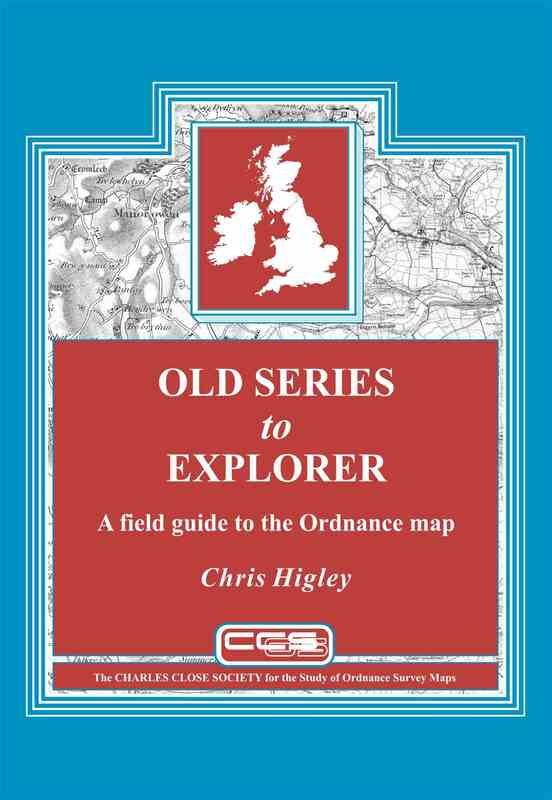 The story of the Old Series is in many ways also the story of the first half-century or so of the Ordnance Survey. The first sheets that were completely independent Ordnance survey productions were only published in 1805, though they incorporate field survey work going back to the 1780s. The last sheets of the ‘true Old Series’ were published in 1844; all the sheets remained in print, with various amounts of updating, until 1903. The introductory essay covers the survey of the mapping, and describes influences on its development and, ultimately, its demise. The cartobibliography disentangles the often complicated plate-history for each sheet. The book includes index diagrams, a list of map collections, chronology, bibliography and a comprehensive index to the essay, as well as numerous illustrations of details on the maps themselves. 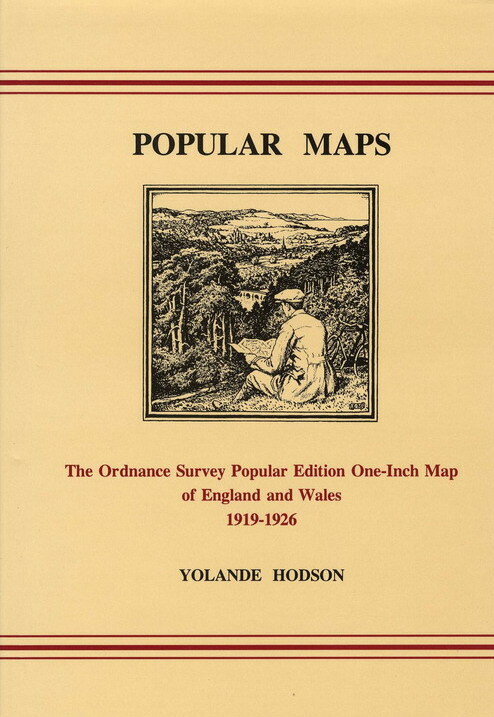 This book is an essential purchase for all map librarians, serious students and collectors of Ordnance Survey maps. The Ordnance Survey is sometimes spoken of as the producer of 'the best maps in the world'. This had to start somewhere, and this book tells the story of the OS from its origins in the late eighteenth century to the completion in 1914 of the survey of the British Isles at 1:2500 scale. 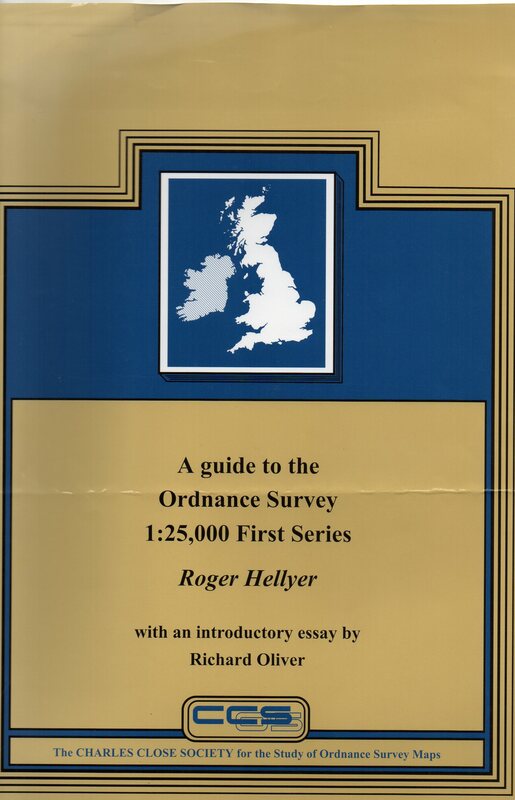 There have been several histories of the Ordnance Survey: this one differs from all the others in that it wades into politics as well as maps in order to tell the story of the inception of the organisation, the 'Battle of the Scales' and how the OS became an essential part of the nation's infrastructure. Based on the author's doctoral thesis and many years' further research, this approachable but authoritative account includes reference to unpublished, and many hitherto unexplored, papers in The National Archives. This fully revised and updated edition, published October 2013,includes a greatly expanded list of towns with their mapping dates, improved data on the early 1:2500 mapping of counties, and further minutiae on ‘points of detail’, as well as an updated bibliography. Although 64 pages longer and still hardback, the price at present is as for the Second Edition: £17.50. 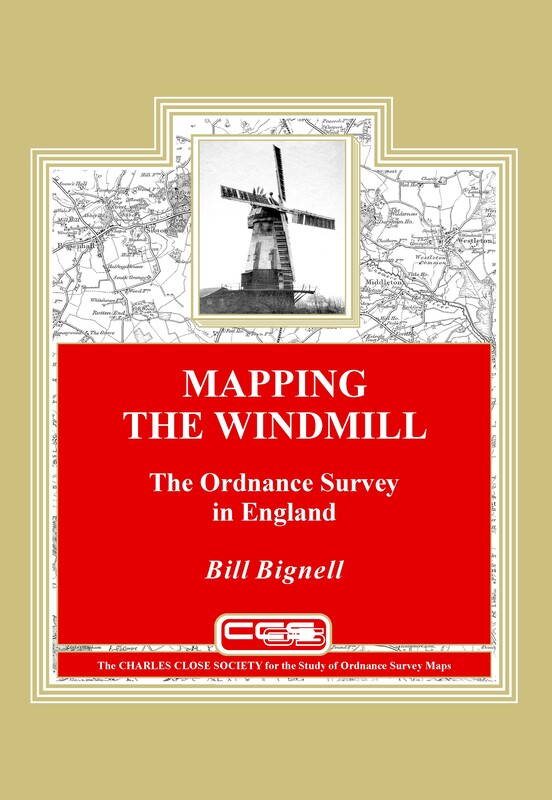 Mapping the windmill: the Ordnance Survey in England, Bill Bignell, 2013, pp xii, 307, illus., maps, hardback, £20.00 ISBN 978-1-870-598-29-3. The book covers the whole two hundred years and more of windmills on published OS maps, in dazzling detail. The illustrations dazzle too: there are 16 pages of plates, of both maps and mills, and many more illustrations in the text. Some of these illustrations do things with OS maps that have never been done before. Even those for whom hitherto windmills have been just another type of building will find here an absorbing study of quirkiness, inconsistency and shades of meaning that few can have expected. Though it is widely accepted nowadays that maps are not just maps, Mapping the Windmill breaks new ground in treating a facet of map depiction in minute detail. It is worth the attention of anyone who is interested in maps. Described as a ‘field guide’, the book is intended to help readers identify and put into context any sheets that they may come across. Colour has been used liberally to illustrate both the maps and their covers. 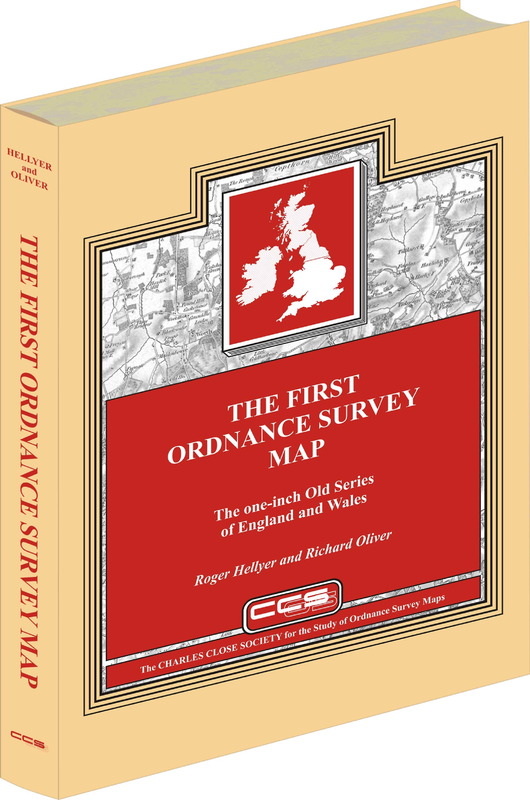 There is also a complete set of index diagrams for each series, together with enough about the history and processes of the Ordnance Survey to understand why their maps looked as they did. Finally, there are chapters on ‘mapmakers at war’ and on collecting maps. history of the one-inch engraved map in Scotland and Ireland, while in England and Wales, where publication of the Old Series had been in progress since 1805, Old Series sheets 91 to 110 are included. These latter sheets, north of the ‘Preston to Hull line’, differ from those published earlier, being demonstrably on Cassini’s Projection on the origin of Delamere and based on survey at six-inch or larger scales. Their quarter sheets form the basis of the system of regular sheet lines that would be extended south to cover all of England and Wales as the Old Series was superseded by what became known as the New Series. The book charts the long history of the subsequent editions of the engraved map, culminating in the last sheets in Ireland going out of print in 1999.
history of the map including its conception, birth, youth and maturity, but also an extensive chapter on the map content, covering both marginalia and also the interpretation of the map itself and the instructions given to the surveyors and draughtsmen. Dr Hellyer then takes over and provides a comprehensive cartobibliography of every known state of each sheet of each edition of the map based on meticulous examination of collections ranging geographically from the University of British Columbia to the Royal Library in Copenhagen. A particularly strong feature of the cartobibliography is the information on railway alterations and other detailed changes to the face of the map. This should allow the exact identification of the many sheets which are encountered with their margins trimmed. The book is completed with a section of index diagrams for each edition, a gazetteer of map collections, chronology, bibliography and a comprehensive index to the essay. No map librarian, serious student or collector of Ordnance Survey maps, can afford to be without this major new work. Brian Adams was a unique man with unique knowledge. 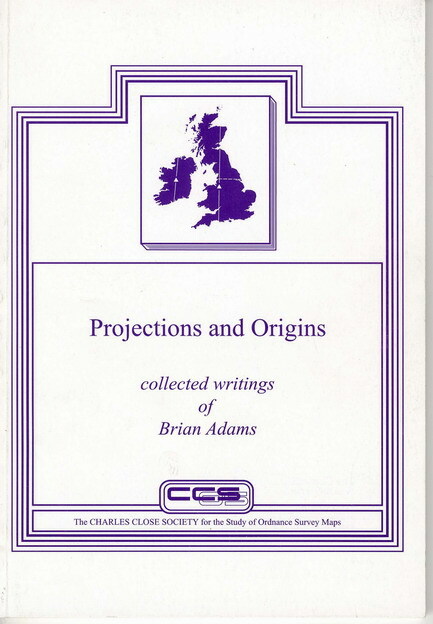 Most of the standard references for the projections, construction data and, in many cases, the sheet lines of nineteenth and early twentieth century Ordnance maps are to Brian's articles scattered through the Sheetlines of fifteen or more years ago. For further information you have to hunt through his contributions to the forwards and appendices to several of the Society's books, as well as two others by David Archer. Roger Hellyer has now had the opportunity to go through Brian's papers and has discovered further, unpublished, data on similar subjects. To preserve all this information in one easily accessible source, and also as a tribute to a distinguished and much loved Honorary Member of the society, we have produced this book. 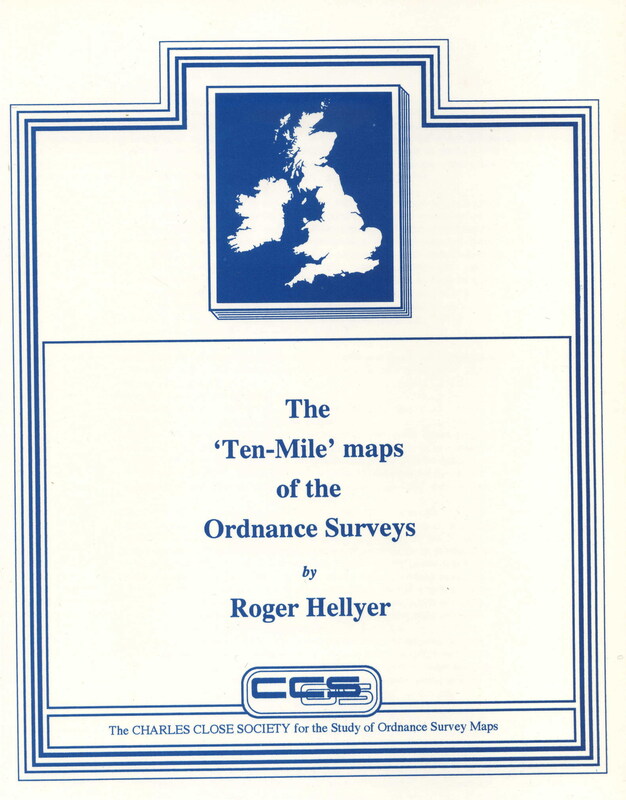 The Seventh Series was the final stage in the development of the Ordnance Survey one inch to one mile (1:63,360) map before its replacement in 1974-6 by the 1:50,000 scale, and was the only completed uniform, or nearly uniform, map series to cover Great Britain at this scale. Though initially published between 1952 and 1961, its origins really lay in the 1920s, and in the desire to replace engraving and lithography by photo-mechanical methods for the production of the one-inch map. This booklet, orginally published in 1986, describes the origins and development of the Seventh Series and provides comprehensive sheet listings of its various editions and versions, together with the tourist maps derived from it. The present edition improves on its predecessors by correcting a few minor mistakes, adding some further details to the introductory essay, and adding a new section on changes to the design and specification of the maps. 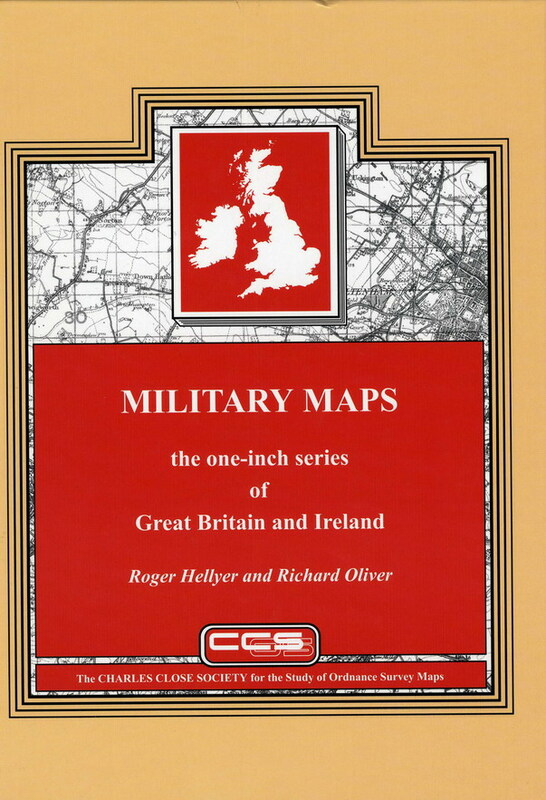 Military maps contains listings by Roger Hellyer of all the gridded one-inch military map series of England and Wales, Scotland and Ireland, and, since the second world war, Great Britain and Northern Ireland. It is organised in two completely separate sections, the first describing those series carrying the War Office Cassini Grid, the second those carrying the National Grids of Great Britain and Ireland. There is a special section describing the military mapping of London in each part of the book. Richard Oliver's essay unifies the whole, bringing us first to the point where in the 1920s the War Office was provided with its own separate set of plates for the one-inch map. It then describes how civilian and military versions of the map diverge, reaching perhaps their widest point of separation in War Revision, then Second War Revision, then gradually come together again as National Grid one-inch mapping develops, finally to reunite in the present 1:50,000 Landranger. The history of one-inch military mapping in Ireland and later Northern Ireland is similarly described. The book is graphically illustrated by sixteen colour plates, eight monochrome plates, and seven index diagrams designed by Chris Higley. It has appendices including previously unpublished tables showing editions of GSGS 3907 and 3908, also sales copies, civilian printers and military printing units. This is supplemented by a concordance of military map numbers, a chronology, a bibliography and a diagram briefly showing the organisation of Military Survey, its predecessors and its successors, from 1791 to the present day. 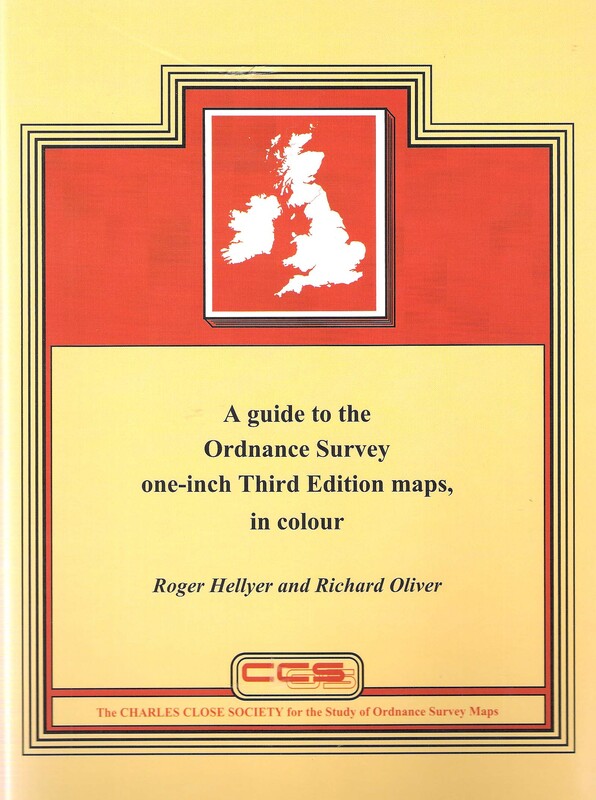 A Guide to the Ordnance Survey one-inch Third Edition maps, in colour England and Wales, Scotland, Ireland. by Roger Hellyer and Richard Oliver, A4, hardbound, 168 pages, 8 colour and 12 black and white plates, ISBN 978 1 870598 21 7. 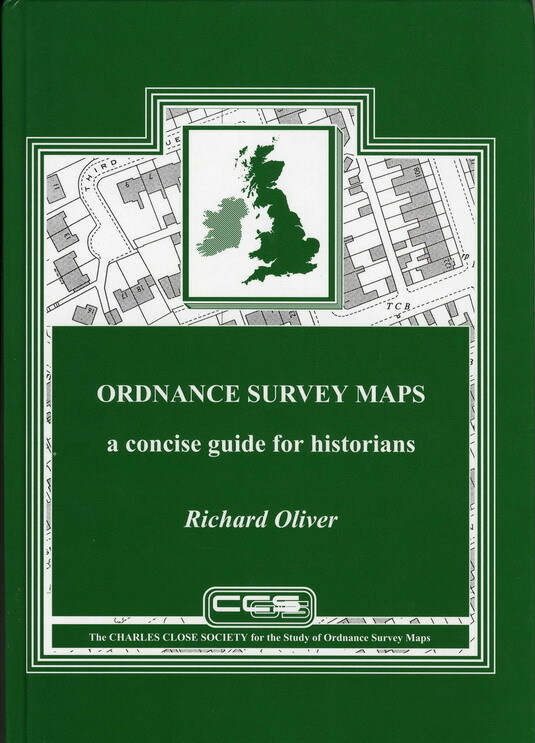 This book contains a detailed history and description of these maps by Richard Oliver. It builds on the original monographs by the late Guy Mesenger, and includes much new information, both historical and cartobibliographical. Roger Hellyers meticulous cartobibliography covers all the third edition coloured maps series. 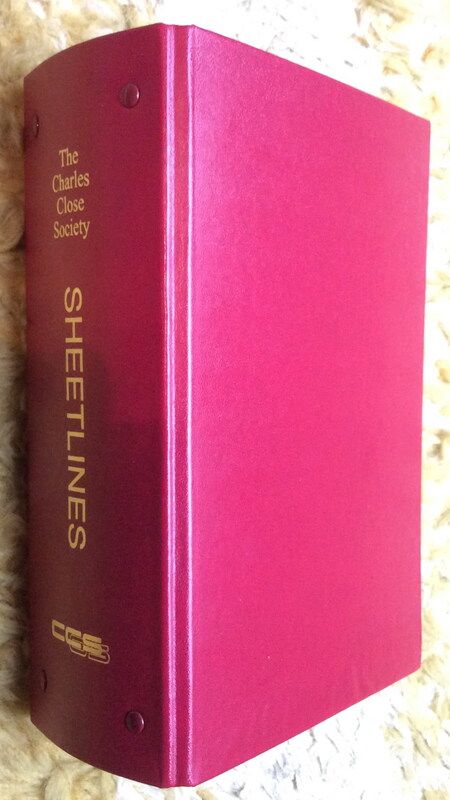 This book tells the story of the Popular Edition one-inch map of England and Wales from sheet line construction to shop counter, and sets the development of the map within the context of the evolution of the one-inch series from 1801 to the 1930's. This book is the first Charles Close Society publication illustrated with a range of colour plates. It also includes a full catalogue of all known printings of the 146 sheets of the map. Dr Yolande Hodson is a founder member of the Charles Close Society and was for some time Chairman. She was formerly employed by Military Survey and then in the Map Room of the British Museum (now the Map Library, British Library), and has been Historical Consultant to Ordnance Survey and Military Survey. 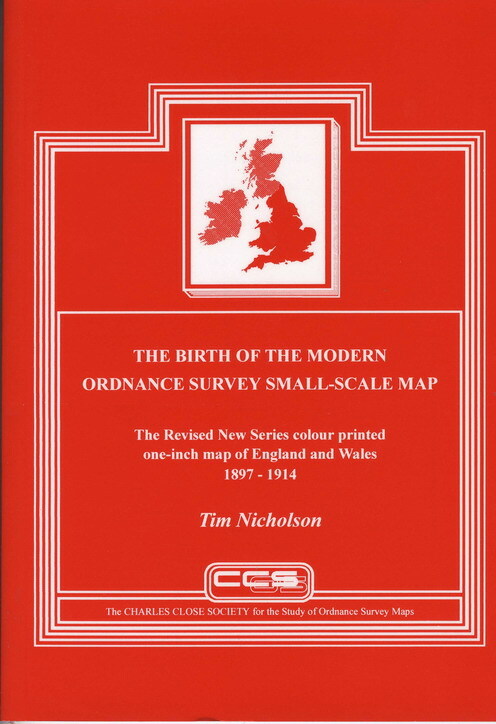 Tim Nicholson has written a comprehensive study of this important series which changed the image of Ordnance Survey maps. The public were offered for the first time a map printed in up to five colours, folded in covers to fit in a pocket. The origins and impact of the new map are treated exhaustively in part one The Story of the Map. The second part reviews all Aspects of the map series and third part contains a listing of all known Map States. An essential source book for a neglected map series of considerable significance in the development of modern mapping in Britain. This is an updated version of a booklet first issued in 1987. It includes much new and hitherto unpublished material, particularly about the origins and development of the Fifth (Relief) Edition. It includes a more accurate and complete description of the map's production methods and a more complete listing of the maps. This is an updated version of a booklet produced in a very limited print run in 1990. It includes a far more complete list of printings of the maps, and a comprehensive introductory essay which describes the development of the mapping, most of it covering ground not covered at all in print hitherto. This is also an updated version of a booklet first published in 1987 The layout is more spacious, easier to use and includes a more complete list of printings. The introductory essay includes a new section discussing some aspects of the Popular-style (Wales and northern) sheets and takes account of further unpublished OS materia. "The definitive text on this complex subject including much valuable information on Irish OS involvement. Tremendous value."